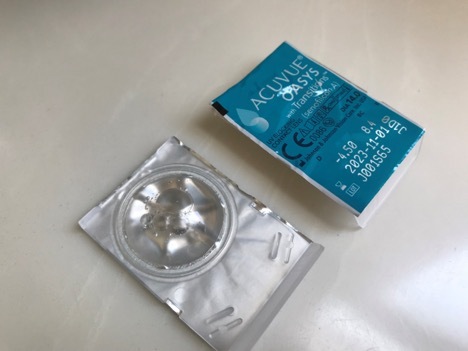 In 2018, Acuvue announced a partnership with Transitions Optical in the development of a first of its kind light sensitive soft contact lens. 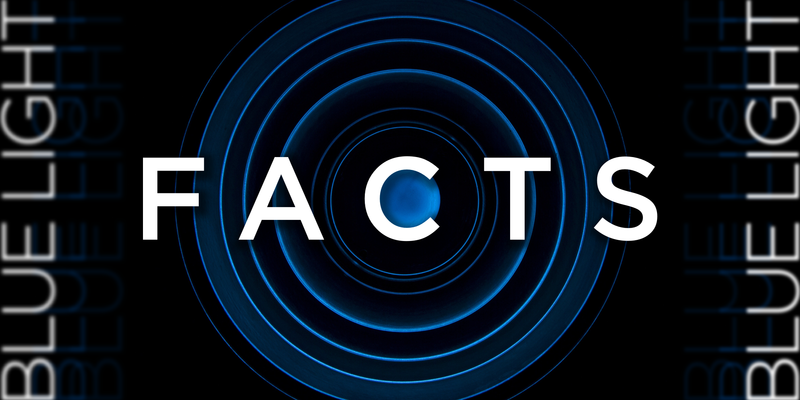 And now, you have access to the most exciting innovation in corrective contact lenses since color contacts were introduced nearly a half-century ago. Acuvue Oasys with Transitions is a two-week disposable lens which automatically adjusts the amount of light, whether indoors or outdoors, that enters the eye. 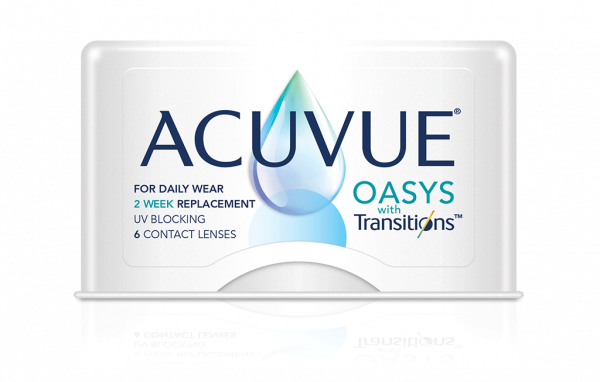 If you wear Acuvue Oasys you can now order the Oasys Transitions on EZContacts. Being a contact lens wearer myself for the past 20 years I couldn’t wait to see how the Oasys with Transitions lenses would work in a real-world situation. On a sunny Saturday morning in March I decided to conduct an experiment. I would substitute my Oasys one-day lenses with the new Oasys with Transitions and I wouldn’t tell anyone I was doing it. I even tried my best to forget I was making the change so I could let the experience be as neutral as possible, uninfluenced by my expectations. I was pleased to find the contacts have virtually no color when they are kept away from UV light. This is an impressive innovation in and of itself considering first generation photochromatic lenses for glasses had a noticeable yellowish tint. As you can see in the image below, the lenses have a slight tint. 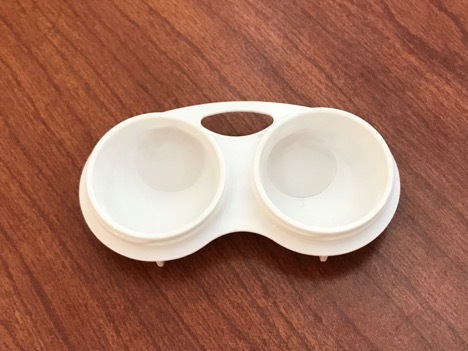 Just enough to allow you to find the contact lens as it sits in a contact lens case. This is called a handling tint and even standard contacts have a light blue tint. What happens with Acuvue Oasys in the sunlight? It was time to take the fun outside. I left my sunglasses at home and went for a walk. It didn’t take long for me to notice the contact lenses getting darker. In a matter of seconds, my heavy squint began to relax and I felt my eyelids separating, allowing my eyes to open wider than I normally could when I’m not wearing sunglasses. The ability to stay nearly colorless is what has made Transitions the gold standard in photochromatic technology. If a noticeable brown or gray tint were present on the lens when it’s supposed to be clear, it would quickly be rejected by contact lens wearers with light color eyes. In my opinion, starting with a virtually clear lens overcame the first major hurdle in the success of this product. The lenses worked exactly as they should once they were on my eyes. There was no perceivable tint, everything was just as clear as when I wear my non-Transitions lenses. My vision was sharp and the contacts were comfortable. Having worn Transitions lenses on my glasses for many years, I can tell you the contacts go dark at a much faster rate. Where it takes the glasses three to five minutes to reach full darkness, the contacts took just about a minute. Impressive. The darkness on the lenses relaxed my eyes so much that I forgot that I wasn’t wearing sunglasses. 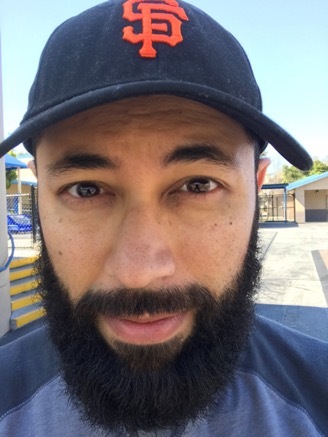 Thirty minutes went by before I remembered to ask my wife if she noticed anything different about my eyes. Once I brought it to her attention, she said the darkness of the lenses was quite noticeable. As you can see in the picture below, the Oasys with Transitions lenses made my eyes look like I was dilated. It’s not exactly a flattering look. In fact, it can be quite shocking at first glance. Personally, the darkening of my iris isn’t a deal breaker for me and I don’t think that it should be a deterrent for people with light color eyes either. Oasys with Transitions are in a category of their own. They aren’t going to be used for cosmetic reasons—like traditional color contacts—and at the moment I don’t see them as a complete replacement to your everyday clear contacts either. I see them being used for situations where you’re outside and sunglasses aren’t appropriate, convenient or safe. For example, I usually wear sunglasses when I’m in sunny conditions, but I can’t wear them while I’m playing soccer. Oasys with Transitions would be perfect. I’m certain that Acuvue thought this all through and that’s why they partnered with one of Americas most popular athletes, Bryce Harper. In March, Acuvue reported Bryce Harper would be an official Oasys Transitions ambassador. It’s smart. You shouldn’t wear sunglasses when a baseball is screaming towards you at nearly 100 miles per hour and yet you need to see clearly in bright light conditions. With standard contacts you must suffer through the bright light and squint the discomfort away. Now, with light sensitive contacts you can improve your visual quality in situations where you can’t wear sunglasses. In my case, and I think most people could benefit from this setup, I will be ordering a box of Oasys with Transitions as a supplement to my standard contact lens inventory. I’ll use them for outdoor sports and activities such as hiking, where taking sunglasses off and on as light conditions vary becomes a burden. We’re still in the early stages of this new photochromatic innovation and only time will tell how contact lens wearers will insert Oasys with Transitions into their lifestyle. With summer right around the corner I’m certain I’ll be putting Oasys with Transitions to good use as I spend more time outdoors enjoying the sunshine. Click here for the product page and EZ checkout. 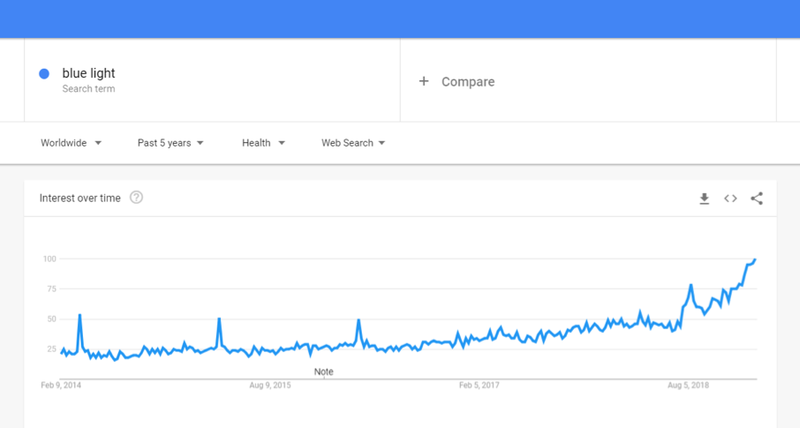 There appears to be a growing interest in “blue light.” As you see in the Google Trends graph below, search volume for the term has climbed steadily for years. According to a 2018 Pew Research survey, in 2014, only 55% of Americans owned a smartphone. In 2018, the number reached 77%. The same survey reveals from 2013 to 2018 ownership of tablets in the U.S. rose from 34% to 53%. You can see a correlation between ownership of digital devices and a curiosity about blue light. When winter arrives, rain and snow presents visual challenges. Thankfully, there are ways to enhance your vision during the rain and snow you encounter with winter weather. 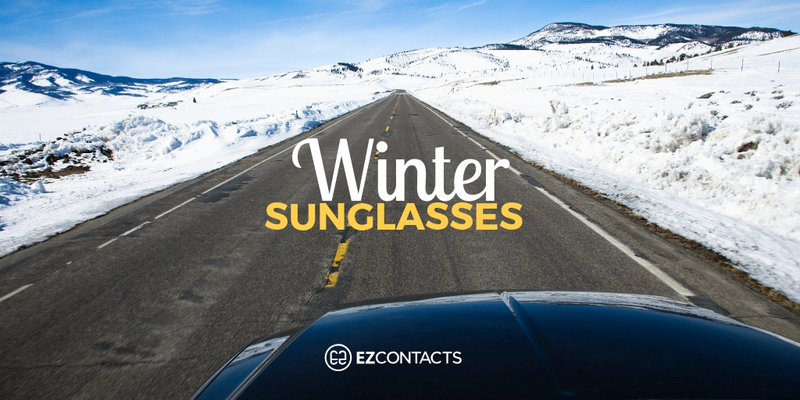 In this post we’ll be looking at some of the best winter sunglasses for winter 2019 which will give you optimal visual performance. 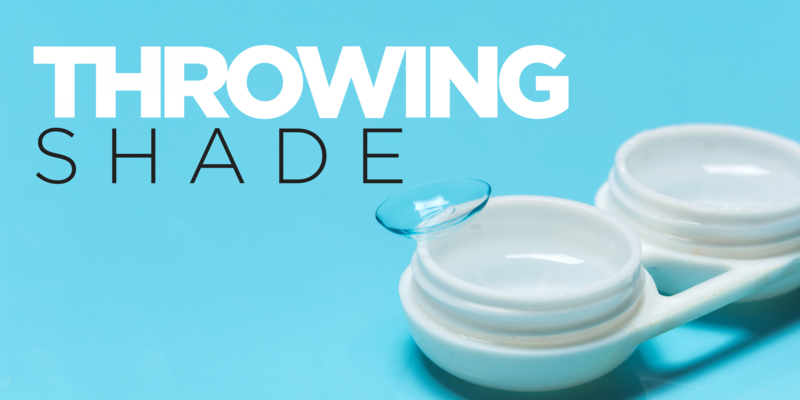 When you order prescription glasses, you’ll make some additional choices regarding upgrades and options. The purpose of most lens upgrades are self-explanatory, but selecting an anti-reflective (AR) coating isn’t always an easy choice to make due to the variety. 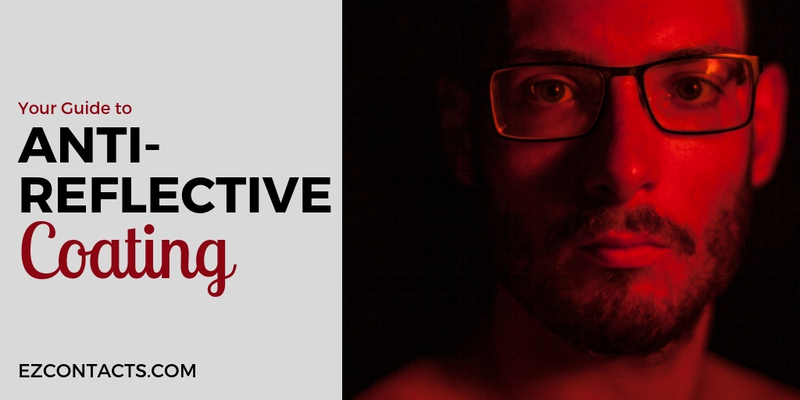 In this post, I’ll provide you the insights you need regarding your anti-reflective coating options so you can make an informed decision. There are differences in price, function and features, so we’ll look at those here.